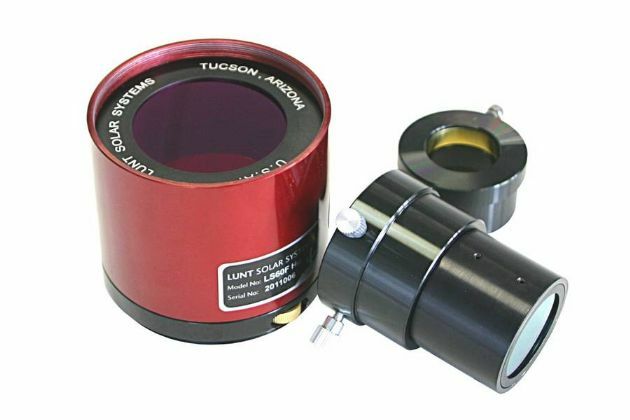 H-alpha Single Pass Front Mount Etalon System for telescopes with 2" focuser and up to 3060mm focal length. The system includes the B3400 blocking filter, which is usable for telescopes up to 3060mm focal length. The blocking filter is installed in a straight extension tube for 2" focuser. This extension tube is equipped with a reception for 2" eyepieces and a adapter for 1.25" eyepieces.